Acrylic & Gold Pencil Pen Holder Desk Accessories Stationery Organizer is currently selling at $13.95, which is its normal price. It has a lowest price of $13.95 and is selling within its usual range. Price volatility is 0.15% (meaning it does not change often), so you might have to wait a while for the price to drop. Until then this is a recommended 'ok deal'. There is a coupon available for an additional 15% off. The current deal is also the best price on this item over the last month. 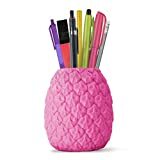 Compare the current price, savings (in dollars & percent) and Buy Ratings for the top Desk Pen Holders that are closely related to Acrylic & Gold Pencil Pen Holder Desk Accessories Stationery Organizer. 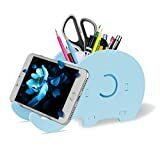 Here is how Acrylic & Gold Pencil Pen Holder Desk Accessories Stationery Organizer compares with other leading Desk Pen Holders. The Pencil & Pen Holder is elegantly and beautifully designed with a high transparent lusterand a crystal like appearance with smooth shiny edges that looks great on anyone's desk! 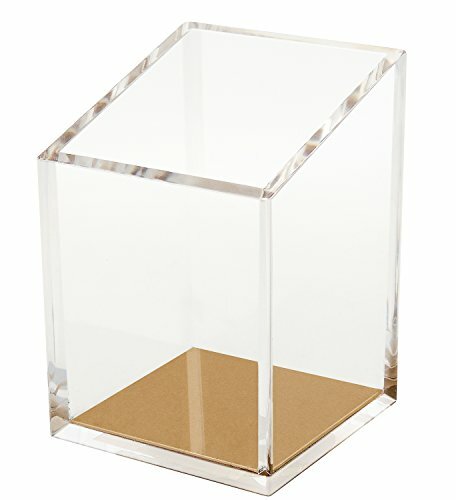 - Superior Acrylic Materials - Gold toned hardware (some pieces may have a rose hue) - Polished edge construction - Sleek, Chic and Classy - Cork bottom detail to prevent sliding. FeaturesCYBER MONDAY 10% OFF - Code: JOLLYELF - Apply at Check Out - BRING LIFE, SPARKLE AND STYLE TO YOUR DESK: Re-imagine and dress up your desk with this beautiful soft rose gold desk accessory! The pencil & pen holder brings a clean and modern look to your workspace that is visually gorgeous and it enhances and complements any décor adding an elegance to the work environment.A GREAT GIFT IDEA: Whether for yourself, a friend, a co-worker or that special someone, add some fun and something whimsical to an office or home with this acrylic and gold pencil holder. It will brighten up the day! Check out the matching stapler and tape dispenser too for a complete set!A PERFECT FIT: The pencil holder is compact and it fits very nicely on any desk. Another great use for the cup is to hold makeup brushes and pencils and will look great on your vanity too. 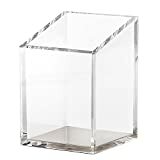 It has a cork bottom so it stays where you put it.SUPERIOR ACRYLIC MATERIALS: Crafted from heavy cast polished clear acrylic with a high transparent appearance and smooth shiny polished edges. Please note that the gold metal can vary and some pieces cast a gold to a soft rose hue.